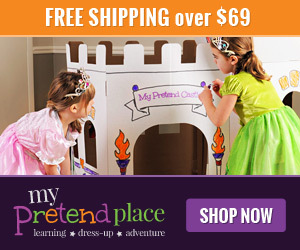 Kids love to pretend and they learn so much from play. 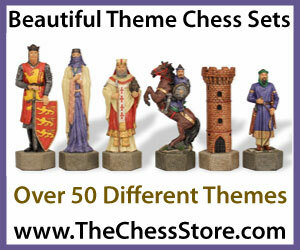 Oftentimes a child is already interested in what they want to be when they grow up – usually without knowing it! 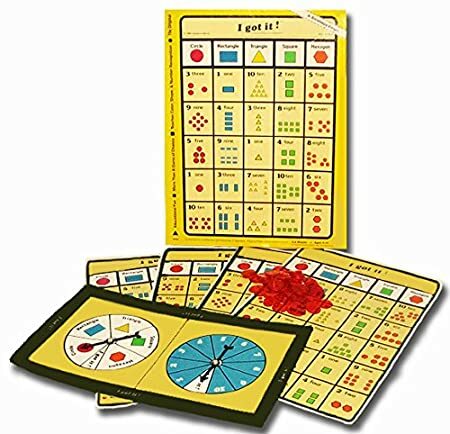 As parents its our job to provide them with activities and tools to help them learn and be a guide for them. If you have a little one who is really interested in space studies, everything astronaut, chances are they may end up with a job at NASA! From my experience, I know someone who’s little girl regularly climbed furniture, walls – as high as possible, and nearly scared her mother out of her wits by coloring on the ceiling! This little girl, now all grown up, yes, as you guessed – works at NASA and is in the astronaut training program. Sometimes though, when we’re teaching something like astronomy, it’s fun to just add some crafts and play to make the lessons actually stick. 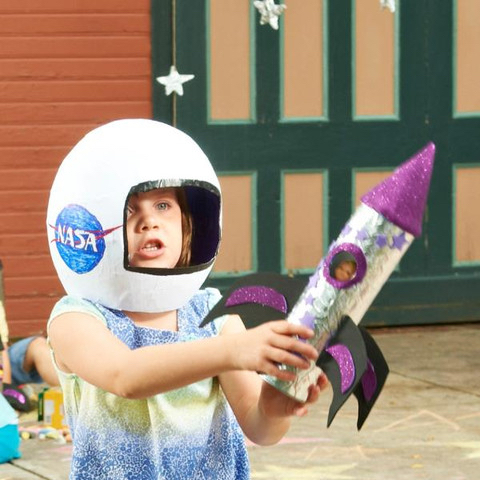 So, take a look at the crafts below and add some fun to your kids space program! 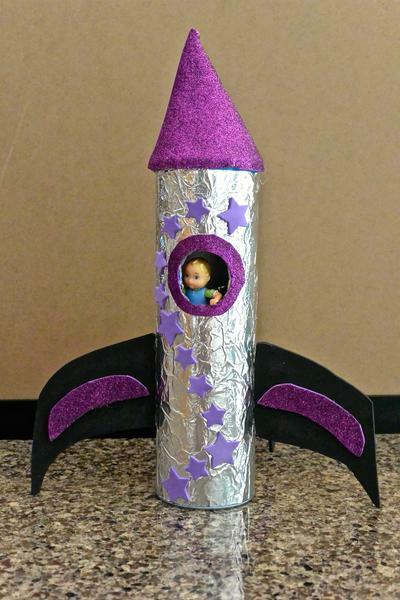 Make a fun rocket ship toy with your kids – they’ll be able to blast off anytime! 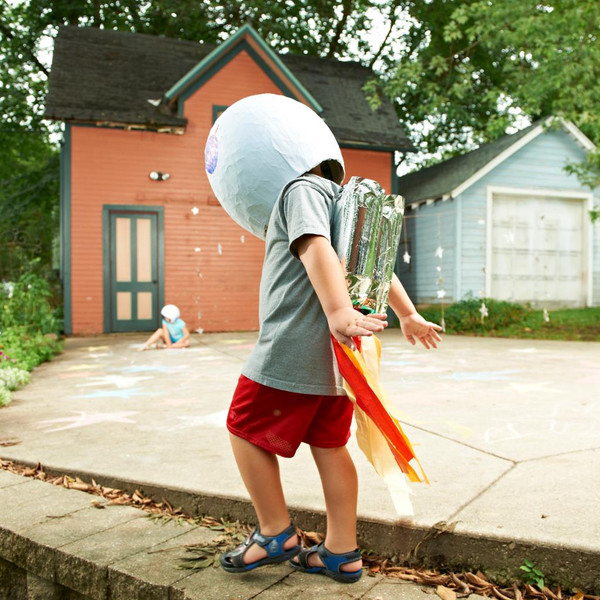 Another fun craft you can make at home with your kids is the Rocket Pack! Click Here to see the Rocket Pack Craft at My Pretend Place! 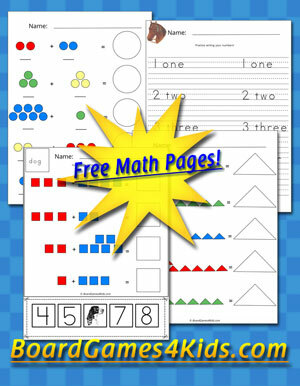 Want to make lunch or snack time a blast with fun recipes for little astronauts? Kids always love when playtime continues into snack time or lunch – it always makes it so much more special. 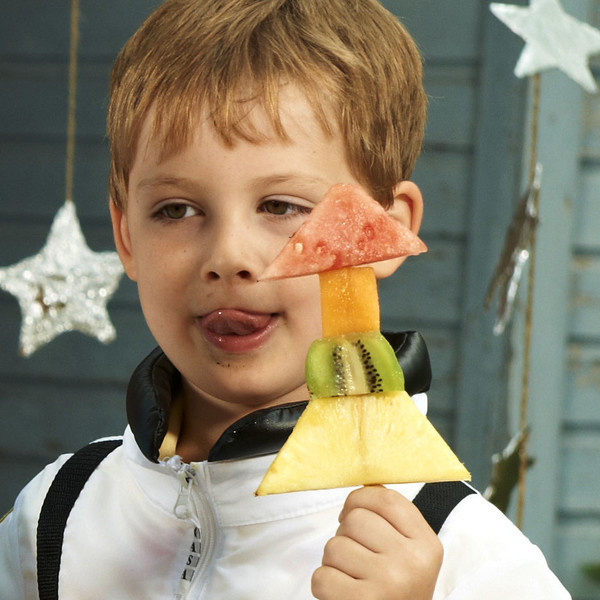 Take a look at the healthy fruit Space Rocket Recipe, and other fun recipes for your little astronauts in training! Click Here to get the Space Rocket Fruit Recipe!